Note to parents and others incharge of children. While growing up, a child is guided by the ones elder to them and those with more experience and for them it is important to know, that no matter what, sport has to remain an essential part of life forever. Parents and those in charge must know that despite having knowledge, education, awareness and good social skills, it is highly important for children to be involved in sports physically themselves, both outdoors and also indoors. When we talk sports, there is no better game to look at than that of football. Football is a team sport and one of the most popular ones across the planet. Being involved with it teaches kids the qualities of teamwork, leadership, passion, ups and downs of victories and losses and other crucial elements required during the learning stages of life. 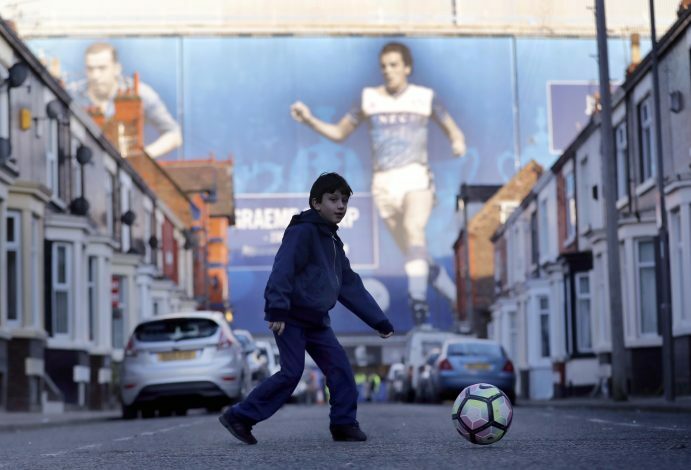 What are the ways to get your children to like football? Talk Sport – always keep your children well aware of the footballing activities going on around the world. Tell them about the rich history, the greatest matches and legends of the game and the most beautiful moments the sport has witnessed to begin with. Enroll your children in football academies and ensure they step out of the house to play the sport with other kids which will help increase social skills, self confidence and keep health at high levels. Turn Them Into Fans – Make children watch the sport and don’t worry, that alone will make them fall in love with it. They will learn how to stand by a team, become part of fan clubs and respect the emotion of loving the jersey one wears. Turn Them Into Players – Instead of spending money on gadgets and unnecessary tools that kill childhood, it is better to buy the kids football equipment ranging from jerseys to shoes to balls which will make them not only value money but push them into stepping onto the field and self experiencing the game the world loves watching. Football is a beautiful game and before it’s too late, let your children understand it for themselves.